Having pooled its steel assets with rival Tata, the German industrial group plans a further strategy shift. Just as well: margins even in the non-steel bits lag peers. The question is how far CEO Heinrich Hiesinger can follow the vogue for dismantling big, unwieldy conglomerates. ThyssenKrupp will adapt its strategy following a planned tie-up with India's Tata Steel, its chief executive said on Jan. 19, responding to investor criticism that the elevators-to-submarines group is too unwieldy. Speaking at the company's annual general meeting, which was overshadowed by key shareholders asking for a broader overhaul, Heinrich Hiesinger said the company's future development would be discussed at an annual strategy dialogue in May. "Naturally ThyssenKrupp will look different with the establishment of the joint venture in the steel area. We will hone our strategic vision and also adapt our financial targets accordingly," Hiesinger said. 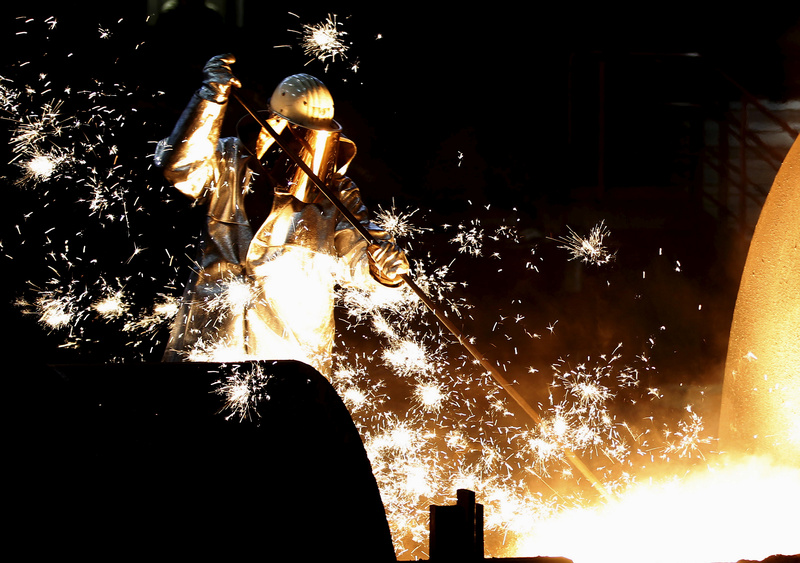 Shares in ThyssenKrupp were up 3.6 percent as of 0950 on Jan.19.